The Transport working group was created at the initiative of the Basque Country that chaired it from 1989 to 2015. Cantabria took over the presidency of this working group in March 2015. The aim of this working group is to advocate for a more balanced development of the transport networks in the EU. Peripheral maritime areas that are not located on the EU core network are disadvantaged compared to those located on the Corridors and receive less funding. This situation deepens the gap between the core networks areas and the peripheral ones. The role of this group is also to follow up the implementation of the Atlantic Corridor and support the development of the Motorways of the Sea. It is currently calling for improvements to the map with regard to the Atlantic Corridor and North Sea-Mediterranean Corridor, in order to link up the ports of the Atlantic seaboard on the one hand, and the rest of the European network on the other and to improve the links between Ireland and the UK. Active exchange of experiences and best practices among the participating Regions. Lobby actions in order to implement the Atlantic Corridor, paying special attention to those Regions not connected to the Core Network. Act as the spokesman of the Regions before the European institutions, transmitting their common queries and needs in the area of transport. 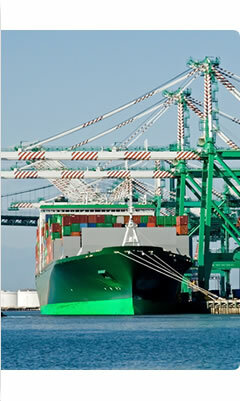 Participation in the Atlantic Strategy in the area of transports, as well as the Blue Growth. Promote the common participation of the Regions in European projects aimed at the achievement of these objectives.